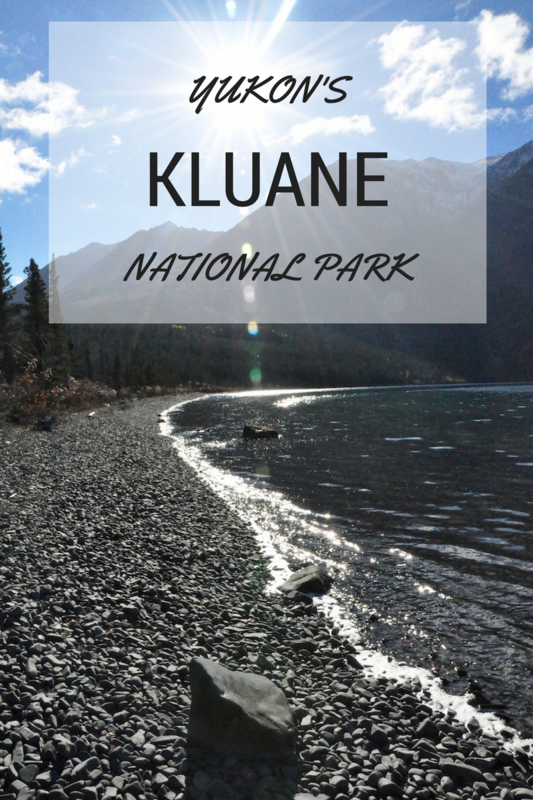 Kluane National Park was one of the highlights of my trip to the Yukon. 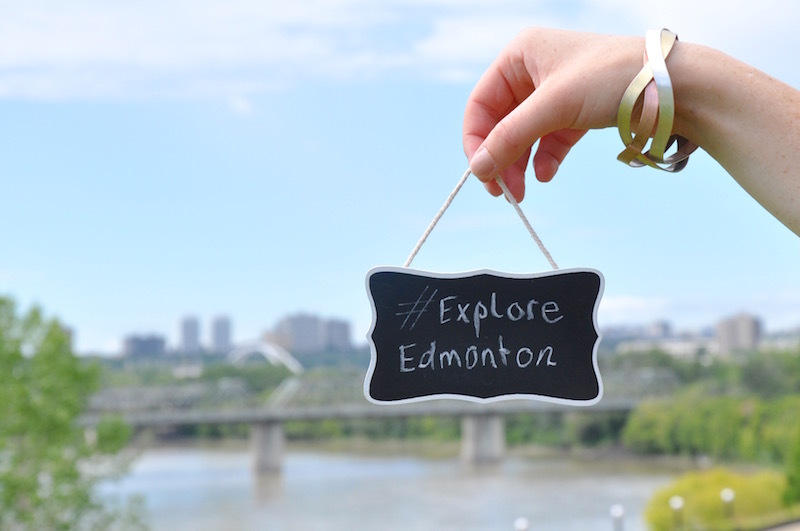 By the time I reached the park, I’d had a few days exploring this vast Canadian Territory, so I thought I had seen all of the breathtaking scenery there was to offer. How wrong I was! 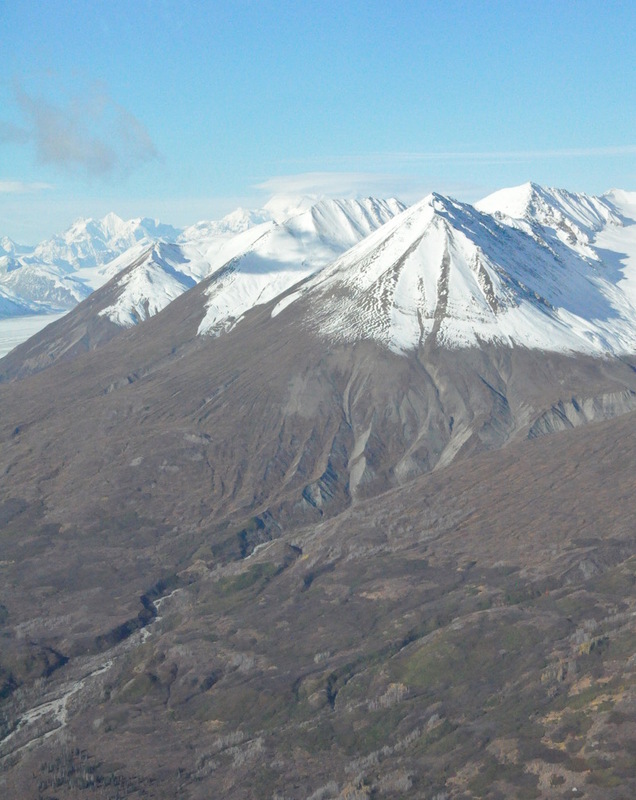 Kluane is an area of incredible natural beauty, featuring crystal clear lakes, dense forests filled with wildlife, towering snow covered mountains and glaciers so big they’re capable of wiping out entire towns. 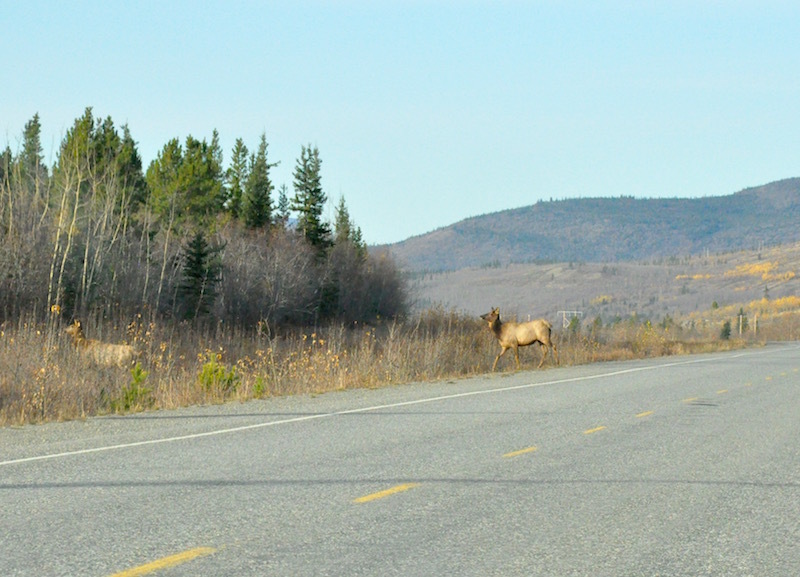 Haines Junction, about 1 hour 30 minutes from Whitehorse (look out for caribou on the road), is the gateway to the park. It was here that I boarded a tiny plane for a scenic flight over Kluane so I could get a feel for the sheer enormity of the place. After that, it was lunch and a guided walk at Kathleen Lake to see some of the scenery up close. 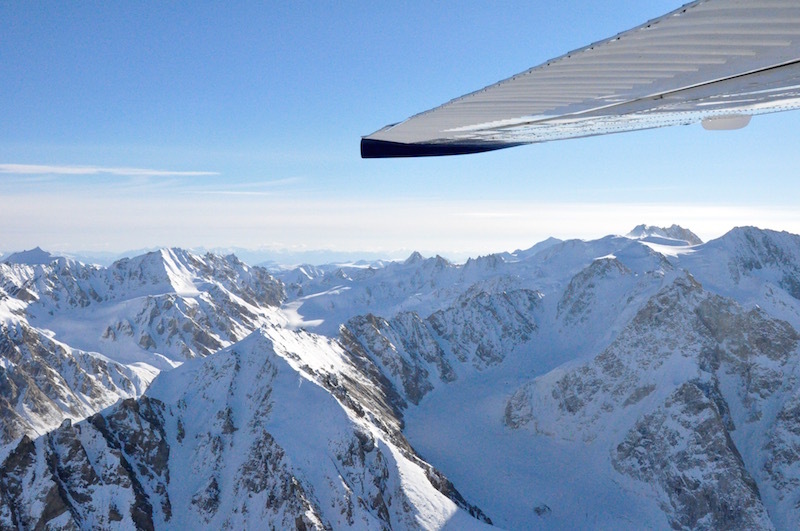 Join me as I give you a peek into Kluane National Park from 10,000 feet, and then from the ground. You’ll find over 120 species of bird, and many mammals including bears inside the park. 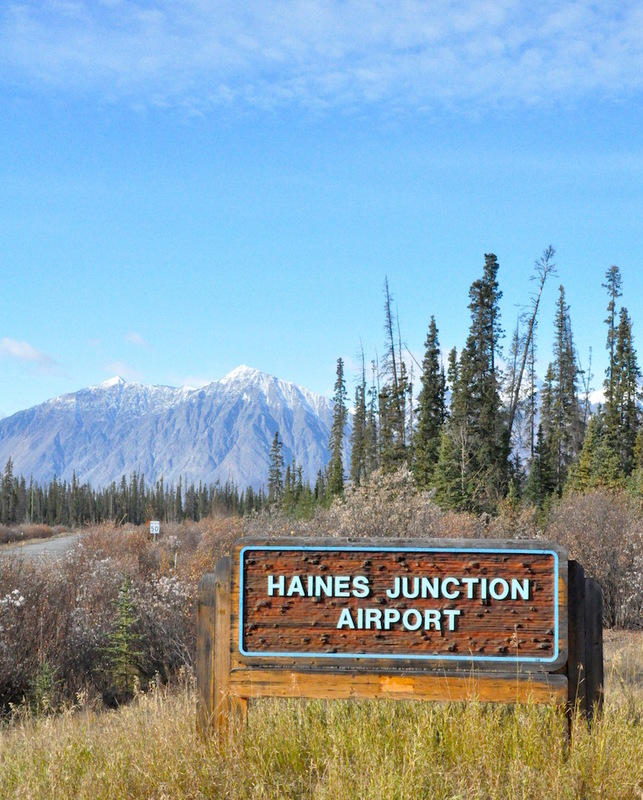 My local guide drove me to what has to be the most quaint and picturesque airport in the world, Haines Junction Airport. Not much more than a small wooden building surrounded by mountains, we quickly found the Kluane Glacier Tours office and met our pilot, Alex. Giggling at the sign advising that we could bring neither our snowmobiles nor our horses onto the tarmac, we hopped into our tiny plane, a 6-seater Cessna, and waited on the tarmac with the engine running to warm it up. It was below freezing outside, after all. 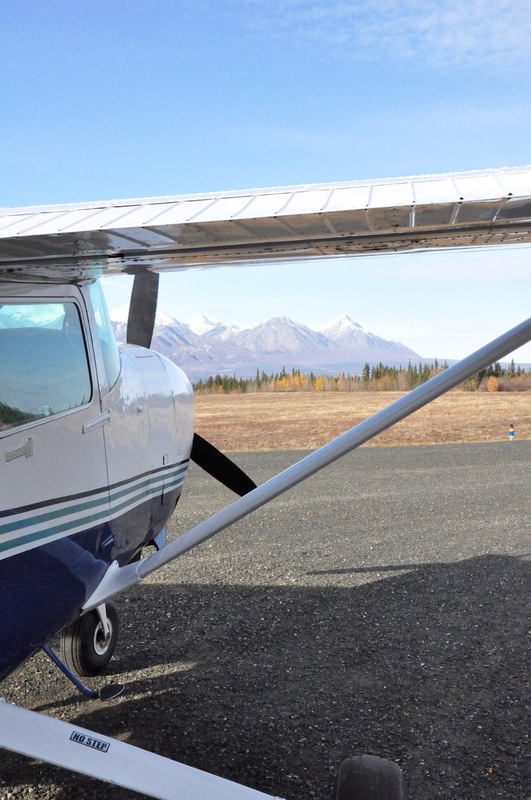 Before long we’d taken off and were headed straight for the mountains inside Kluane National Park. The mountains directly ahead were rocky and bare, but in the distance we could see plenty of snow-covered peaks towards the Alaska border. The landscape changed rapidly as our flight continued, from rocky, low mountains to tall, jagged, white peaks and huge expanses of glacier. As we flew, Alex pointed out the various mountains and glaciers, which didn’t always look so wide but were actually up to 7km in width. Trying to wrap my head around the scale of this scenery was next to impossible. We spotted the very top of Mount Logan, thanks to the clear blue skies, and could see as far as Alaska and British Columbia. My favourite sight was toward the end of our flight, when we circled above Lowell Glacier. This 70 kilometre-long body of ice terminates abruptly into Lowell Lake, where you can see giant icebergs bobbing in the blue-green water. After about an hour, it was time to land our little plane at Haines Junction Airport, and I’m pleased to say it was an incredibly smooth landing. I wasn’t expecting that from such a small aircraft! 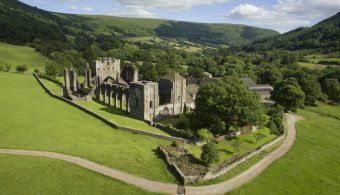 Every moment of the scenic flight was absolutely breathtaking. I have no idea how many times I said ‘WOW’, or ‘AMAZING,’ but Alex kindly didn’t complain. 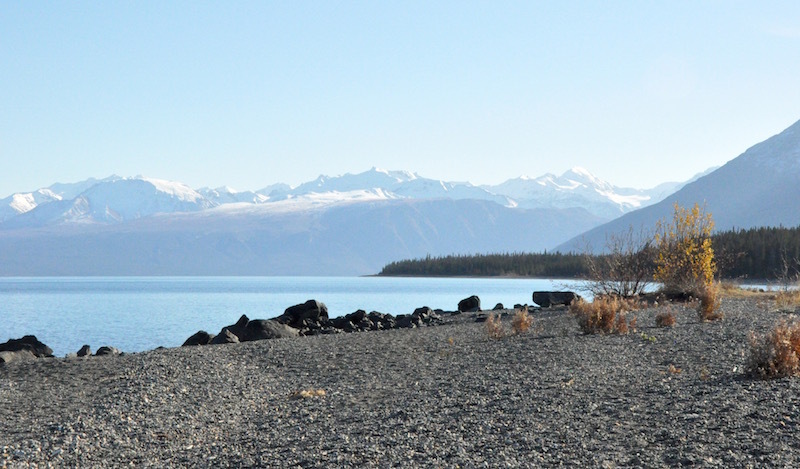 Having had a jaw-dropping introduction to Kluane National Park from above, it was time to see it from eye-level at Kathleen Lake. 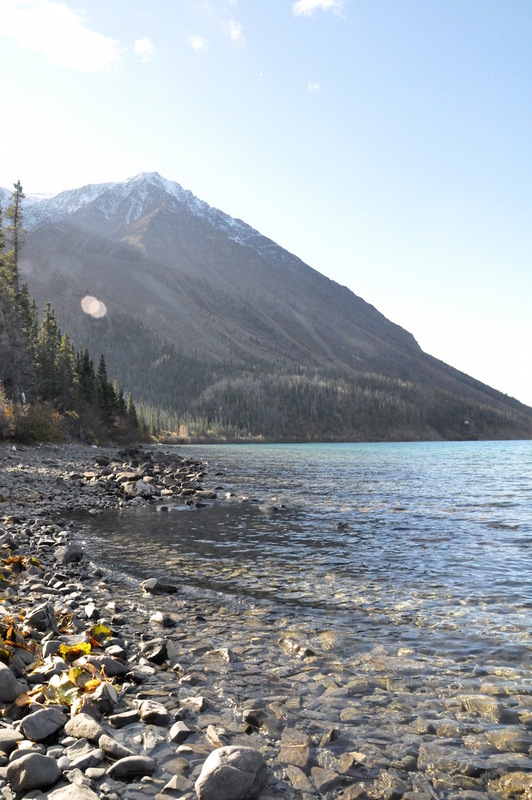 Just a 15 minute drive from Haines Junction lies Kathleen Lake, a popular camping, hiking and picnicking site just inside Kluane National Park. We’d picked up some lunch at The 14 Acre Farm in Haines Junction and sat at the lovely indoor picnic tables that overlook Kathleen Lake, munching our fresh and tasty salads. There’s even a fireplace inside the picnic area, so you can enjoy the stunning scenery in the middle of a cold Yukon winter. We were met there by Brent, who runs The Cabin and Kluane Ecotours, a local company providing accommodation and educational adventures, along with his dog Blue. 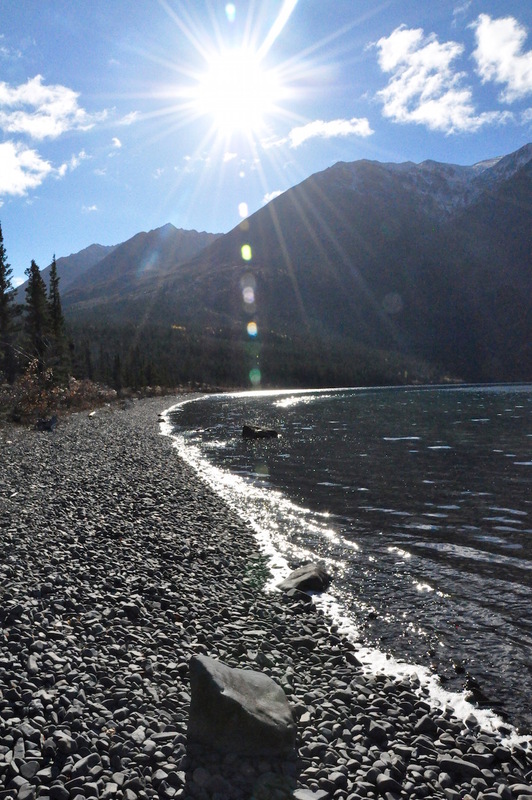 Armed with a can of bear spray (like pepper spray but much stronger), we set out along a path that ran roughly parallel to the shore of the lake. As we walked, Brent explained that the native name of Kathleen Lake is actually Mät’atäna Män, meaning ‘something frozen inside the lake’. In the middle of winter, when the lake is frozen over, it creaks and groans as though there is something trapped inside. 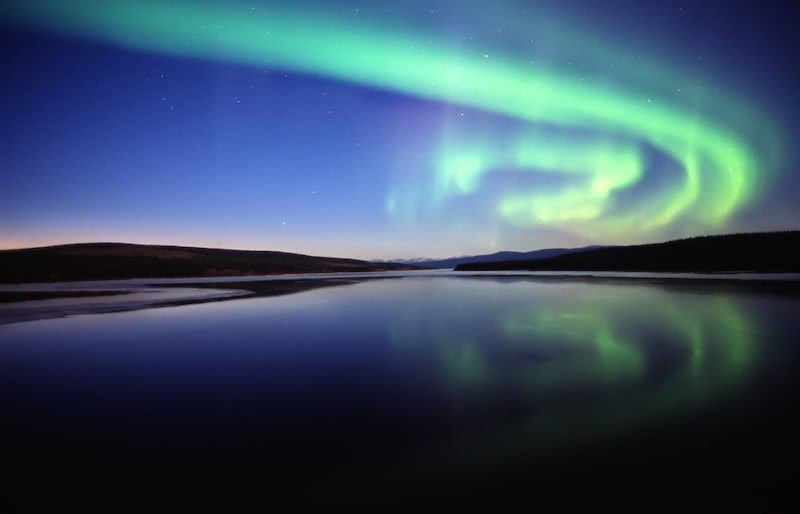 Although it looks calm and peaceful, it’s a deep and very cold lake, and if anyone falls in it’s unlikely they’ll survive for long…even in summer. As we strolled, Blue chased squirrels and grouse, and the brilliant blue lake slipped in and out of sight between the trees. Brent pointed out one tree to me that had been visited by a bear – glistening in the sunlight were several strands of fur that the bear had left behind. As we walked back to the car along the pebbly shore of the lake, I felt like I’d discovered a hidden gem. So many people, when they think of Canada, head straight to Lake Louise and the Rocky Mountains in Alberta. It’s a stunning area, but it’s so busy and crowded, it’s not always the wilderness experience that people crave. 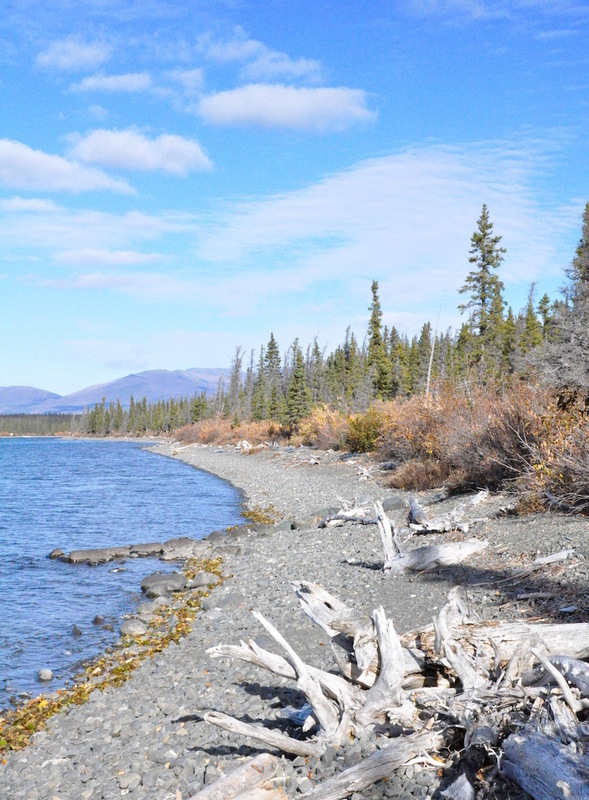 But in Kluane National Park, we barely saw another soul. There’s a real spirit of adventure out here in the Canadian wilderness, and with scenery just as majestic (if not more so, if you can believe it) than other parts of Canada, I’m genuinely stunned that more visitors don’t head straight for the Yukon. It’s a little further to travel, and admittedly much more remote. You don’t get wifi this far from the city, and phone reception is practically non-existent. But to get this close to nature, and experience true, genuine silence…well that’s worth the extra effort, don’t you think? Thanks to Destination Canada and Travel Yukon for inviting me along to experience true wilderness in Kluane National Park!